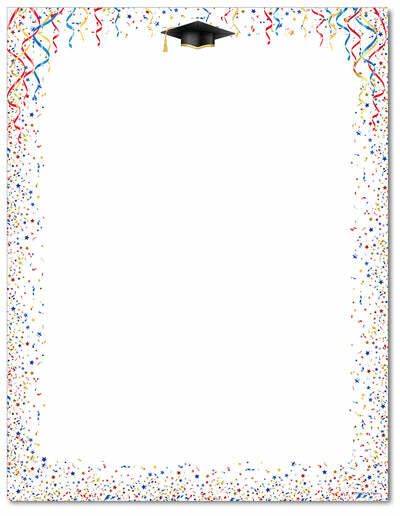 Celebrate is a fun letterhead that features a graduation cap at the top just below several colorful streamers and confetti. The design also features a confetti border. Perfect for making flyers or invitations for any grade level graduation parties or events. This stationery measures 8 1/2" x 11" and is made on a 60lb Text paper that is inkjet & laser printer compatible, acid & lignen free.